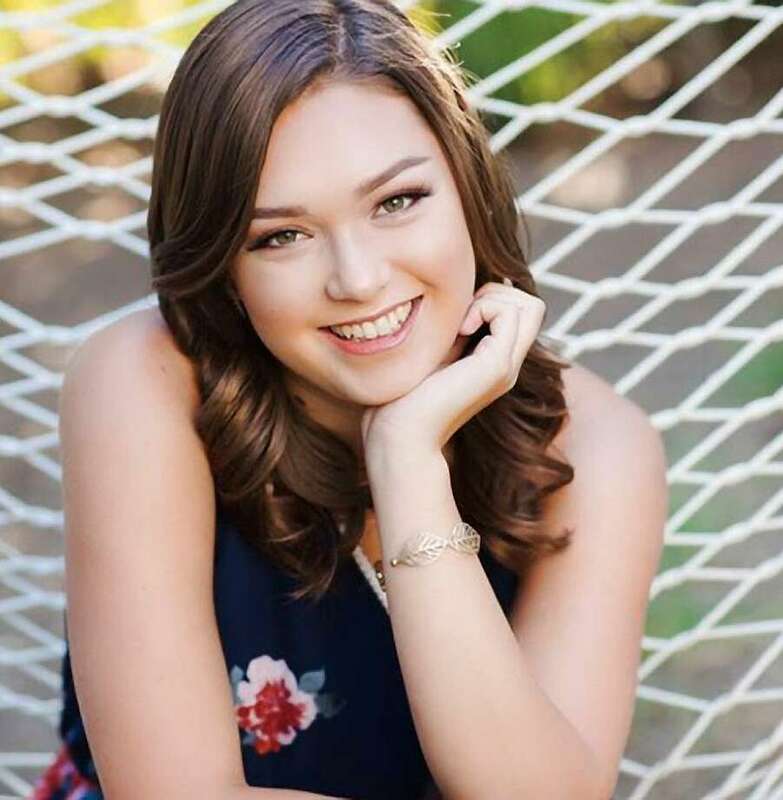 Alaina Housley, 18, of Napa and a student at Pepperdine University, was among those massacred at a dance hall. Sgt. Ron Helus of the Ventura County Sheriff's Office. Helus was fatally shot when he entered a crowded country and western dance hall in Thousand Oaks. Sean Adler, who was one of the victims of a gunman's rampage at the Borderline Bar in Thousand Oaks. Justin Allen Meek, 23, was one of the victims of a gunman's rampage at the Borderline Bar. Noel Sparks, 21, was among those killed. Cody Coffman was killed inside the Borderline Bar and Grill. Witnesses console each other near the Borderline Bar & Grill after a shooter wounded seven Wednesday night on November 8, 2018 in Thousand Oaks, California. The gunman burst into the bar around 11:20 p.m., cloaked in all black as he threw smoke bombs and began shooting at targets as young as 18 inside the Borderline Bar & Grill, authorities and witnesses said. Ventura County Sheriff's Deputy Ron Helus was shot and killed responding to the mass shooting. Cody Coffman was killed in the shooting Borderline Bar and Grill in Thousand Oaks, California, according to his father. Young people talk after the procession carrying the body of Ventura County Sheriff Sgt. Ron Helus, who was killed in a mass shooting at the Borderline Bar and Grill, left Los Robles Hospital on November 8, 2018 in Thousand Oaks, California. 12 people have died including the sergeant plus the gunman. Ventura County Sheriff Sgt. Ron Helus, who died after entering the scene of a mass shooting during college night at a Thousand Oaks nightclub on Wednesday night, leaves Los Robles Hospital & Medical Center during a procession in his honor on Thursday morning, November 8, 2018. Authorities believe Ian David Long, a 28-year-old veteran, is the shooter and among the 13 dead. People line an overpass to see a motorcade procession transports the body of Sheriff's Sergeant Ron Helus, the first victim named in the mass shooting at a country bar in Thousand Oaks, California, November 8, 2018 - The gunman who killed 12, including Helus, people in a crowded California country music bar has been identified as 28-year-old Ian David Long, a former Marine, the local sheriff said Thursday. The suspect, who was armed with a .45-caliber handgun, was found deceased at the Borderline Bar and Grill, the scene of the shooting in the city of Thousand Oaks northwest of downtown Los Angeles. Police stand at attention as a motorcade carrying Ventura Country sheriff Sgt. Ron Helus, who was killed in a shooting at Borderline Bar the night before, passes by outside the Los Robles Medical Center in Thousands Oaks, California on November 8, 2018. - The gunman who killed 12 people in a crowded California country music bar has been identified as 28-year-old Ian David Long, a former Marine, the local sheriff said Thursday. The suspect, who was armed with a .45-caliber handgun, was found deceased at the Borderline Bar and Grill, the scene of the shooting in the city of Thousand Oaks northwest of downtown Los Angeles. A man speaks with law enforcement personnel as people stand along South Moorpark Road after a gunman opened fire late Wednesday at a Thousand Oaks bar packed with hundreds of people attending a popular event for college students, causing multiple fatalities on November 8, 2018 in Thousand Oaks, California. The gunman burst into the bar around 11:20 p.m., cloaked in all black as he threw smoke bombs and began shooting at targets as young as 18 inside the Borderline Bar & Grill, authorities and witnesses said. Police work int he area after a gunman opened fire late Wednesday at a Thousand Oaks bar packed with hundreds of people attending a popular event for college students, causing multiple fatalities on November 8, 2018 in Thousand Oaks, California. The gunman burst into the bar around 11:20 p.m., cloaked in all black as he threw smoke bombs and began shooting at targets as young as 18 inside the Borderline Bar & Grill, authorities and witnesses said. F.B.I. agents monitor the scene near the Borderline Bar and Grill, where a mass shooting occurred, on November 8, 2018 in Thousand Oaks, California. According to reports, at least 12 people have died, including a Ventura County Sheriffs Department sergeant, plus the gunman. A passing motorist looks at the seen near the Borderline Bar and Grill, where a mass shooting occurred, on November 8, 2018 in Thousand Oaks, California. At least 12 people have died, including a Ventura County Sheriffs Department sergeant, plus the gunman. Nellie Wong cries as Chyann Worrell holds her and Erika Sigman (R) were all inside when shooting started inside the Borderline Bar & Grill when a shooter wounded seven Wednesday night on November 8, 2018 in Thousand Oaks, California. The gunman burst into the bar around 11:20 p.m., cloaked in all black as he threw smoke bombs and began shooting at targets as young as 18 inside the Borderline Bar & Grill, authorities and witnesses said. Sarah Rose DeSon talks to friends after a shooter wounded seven Wednesday night on November 8, 2018 in Thousand Oaks, California. The gunman burst into the bar around 11:20 p.m., cloaked in all black as he threw smoke bombs and began shooting at targets as young as 18 inside the Borderline Bar & Grill, authorities and witnesses said. Tim Dominguez who was in the bar with his son distraught over the shooting sits under the freeway after a gunman opened fire late Wednesday at a Thousand Oaks bar packed with hundreds of people attending a popular event for college students, causing multiple fatalities on November 8, 2018 in Thousand Oaks, California. The gunman burst into the bar around 11:20 p.m., cloaked in all black as he threw smoke bombs and began shooting at targets as young as 18 inside the Borderline Bar & Grill, authorities and witnesses said. A truck is parked on the freeway off-ramp from the 101, near the Borderline Bar and Grill, the scene of a mass shooting, is closed on November 8, 2018 in Thousand Oaks, California. At least twelve people have died, including a Ventura County Sheriffs Department sergeant, plus the gunman. A Ventura County Sheriffs officer stands near a vehicle near the Borderline Bar and Grill, where a mass shooting occurred on November 8, 2018 in Thousand Oaks, California. At least twelve people have died, including a Ventura County Sheriffs Department sergeant, plus the gunman. People stand in a parking lot along South Moorpark Road in the aftermath of a mass shooting at Borderline Bar & Grill after a gunman opened fire late Wednesday at a Thousand Oaks bar packed with hundreds of people attending a popular event for college students, causing multiple fatalities on November 8, 2018 in Thousand Oaks, California. The gunman burst into the bar around 11:20 p.m., cloaked in all black as he threw smoke bombs and began shooting at targets as young as 18 inside the Borderline Bar & Grill, authorities and witnesses said. Police work in the area after a gunman opened fire late Wednesday at a Thousand Oaks bar packed with hundreds of people attending a popular event for college students, causing multiple fatalities on November 8, 2018 in Thousand Oaks, California. The gunman burst into the bar around 11:20 p.m., cloaked in all black as he threw smoke bombs and began shooting at targets as young as 18 inside the Borderline Bar & Grill, authorities and witnesses said. Sheriff and FBI investigators huddled at the command post after a gunman opened fire late Wednesday at a Thousand Oaks bar packed with hundreds of people attending a popular event for college students, causing multiple fatalities on November 8, 2018 in Thousand Oaks, California. The gunman burst into the bar around 11:20 p.m., cloaked in all black as he threw smoke bombs and began shooting at targets as young as 18 inside the Borderline Bar & Grill, authorities and witnesses said. People stand and watch as the scene unfurls from the intersection of US 101 freeway and the Moorpark Rad exit as police vehicles close off the area outside a country music bar and dance hall in Thousand Oaks, west of Los Angeles, where a gunman opened fire late November 7, 2018, killing at least 12 people, US police said. Firefighters survey the area around Borderline Bar & Grill after a shooter wounded seven Wednesday night on November 8, 2018 in Thousand Oaks, California. The gunman burst into the bar around 11:20 p.m., cloaked in all black as he threw smoke bombs and began shooting at targets as young as 18 inside the Borderline Bar & Grill, authorities and witnesses said. A picture of Noel Sparks is seen during a candlelight vigil in Thousand Oaks, Calif., Thursday, Nov. 8, 2018. A gunman opened fire Wednesday evening inside a country music bar, killing multiple people. Pictures of Noel Sparks are seen during a candlelight vigil in Thousand Oaks , Calif., Thursday, Nov. 8, 2018. A gunman opened fire Wednesday evening inside a country music bar, killing multiple people. Remember 3% Growth? It’s Now Down the Memory Hole.